Unlike traditional MBA Programs, the Eller Executive MBA structure – with classes meeting once very four weeks – allows you to build your professional capacity without putting your career on hold for two years. Success in today’s economy requires precise competitive positioning, accurate forecasting and valuation, and the ability to anticipate fluid constraints and opportunities in the market. Technology expands possibilities with exponential speed, and the ability to spark and manage innovation can lift or sink an organization. The Eller Executive MBA gives already accomplished professionals the tools to face and overcome today’s formidable business challenges. Executives in an MBA Program can learn an amazing amount from each other in addition to what they learn from professors. For that reason, the Eller College designed the Eller Executive MBA as a residential program unlike many other programs. 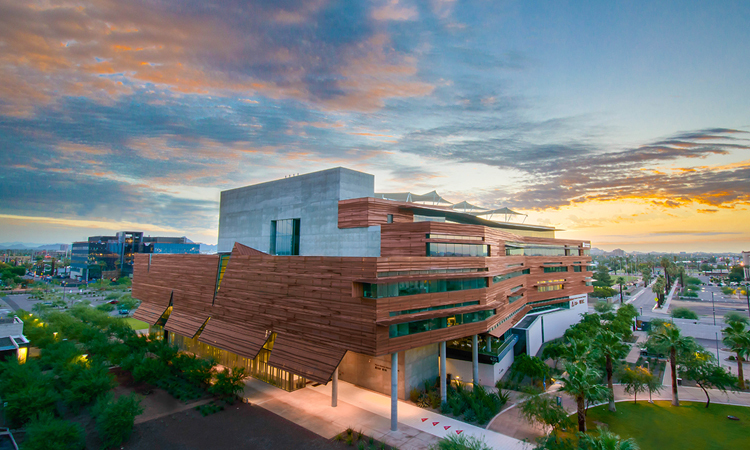 A four-day initial session on the University of Arizona campus in Tucson builds connections from day one. Moving forward, students attend classes on Fridays and Saturdays, staying onsite in Phoenix overnight and sharing lunches and free time every four weeks. According to many students, the close-knit community that develops through the course of the program is one of its greatest strengths. The Eller Executive MBA Program was designed from the ground up with the understanding that real management tasks integrate elements from multiple business domains. The lock-step program includes a unique sequence of courses that build on each other. Because admissions to the Eller EMBA is reserved for senior-level managers and accomplished professionals, the curriculum bypasses some of the more basic knowledge sets of a typical MBA Program. Much of the curriculum specifically addresses the leadership knowledge critical for success in today’s markets that are driven by technology, information, and innovations.